We have used Viator previously for European tours and have been very happy with them. This trip was no exception. Let me begin by saying our tour guide, Clara from Rome was outstanding and everyone on the trip loved her. She was like a mother hen to all of us, making sure every detail was covered in such a warm caring way. We got to see a lot in 5 days and one suggestion I would make is if they offer an upgrade package for hotels, I would definitely take it. The hotels are all nice but we took the upgrade based on other reviews and it was so worth it. Part of our group was housed in a hotel on the mainland in Venice and the upgraded group was housed on a beautiful hotel right on the island that was located directly on the canal. We could walk to everything and were in the center of the activated whereas the other group had to take a bus and then a boat to get to the island. Thank you Viator for the option, we would definitely do it again! We continue to trust in Viator for a wonderful vacation experience! We were 4 adults and very happy we took the tour, covered a lot without hassle to move from one city to the other. Our guide Sabrina was amazing. She was very friendly and knowledgeable of all the history as well of local shops/restaurants that allow us to taste all local cuisine. I had a mobility limitation and before every stop she always come and talk to me, give me details of the activity and make sure I will be able to make it back to the buss, including arranging taxi for us. 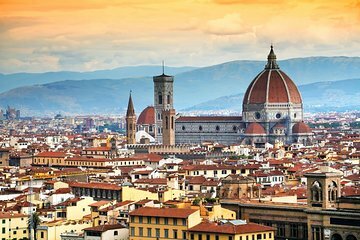 This tour is also perfect for people never been to Italy and want to make a quick visit then decide what region they will like to come back and explore in more details. Highly recommend taking this tour. Clara our guide was amazing and very friendly. Thanks to Stephano who is a great driver brought us safely back to Rome. The best part of this tour was that we met so many friendly people from Australia, Canada, Lebanon and US. You require good walking / comfy shoes as there is plenty of walking to do. All the cities were just beautiful and quaint especially Assisi and Montepulciano. 'The only downside was the cost of the Gondola ride which was a rip off for Euros 35 pp. 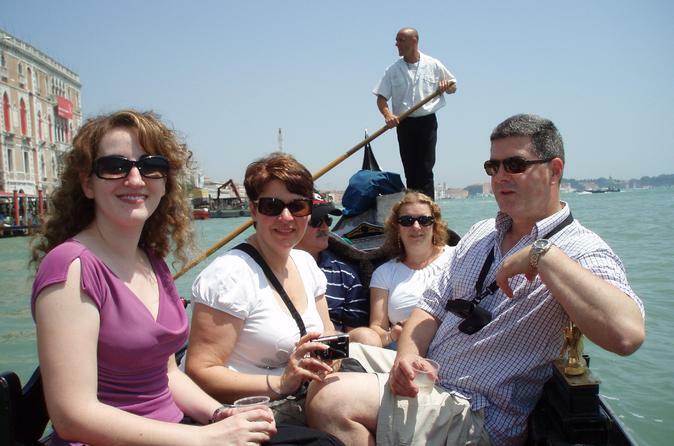 4 of us went locally and joined 2 students on the Gondola and we ended paying Euros 88 for 6 of us. I would recommend anyone going on this tour, to do the Gondola ride on your own. This was such an amazing trip! Would highly recommend for those wanting to explore as much in a short time. Great tour guide and bus driver. This was the best way to pack a lot of the Italian sites into a short amount of time.The accommodations were lovely but the included meals left much to be desired. A great experience! We could not have had a better tour and tour guide. Stephano was fun, helpful, and patient with our diverse group. Covered beautiful places you won t be able to do on your own / only negative was the hotel in Venice ,which we did not like , the room was sooooo hot and uncomfortable, EVEN PAID EXTRA FOR AN UPGRADE . I hope this hotel WILL BE remove from their list. When I travelled in March 2017 w/ my daughter we got a nice hotel in Venice w/ an upgrade, so I TOOK THE SAME TOUR W/ MY SON but no luck this time. Antonio driver and Clara tour guide are great people. Very organized with lots of information of top things to see and do. What makes this tour great, is you dont have to worry about driving yourself and possibly getting lost to find your destinations. You will visit approximately 13 cities in 5 days and four nights. Clara always has a time and a meeting spot for those of us that want to venture off away from the big group. With a group of 43 people, you may not get to see everything you want if you stay with the group. Lots of talking and history which is good for people that want to listen. For us, we can google the information as we venture off and see the beauties of Italy. If you have a good sense of direction, you wont get lost! The only complaint is the hotel location in Florence is approximately a 2 mile walk away from everything. For those of you that are not in shape or cant walk long distance, understand that not all locations are close to everything. This is a heavy waking tour which we walked about 4-8 miles daily. - Best time to visit Italy in the Fall would be October. The weather is perfect, not many kids and your not sweaty. When we travel North to Venice, a light jacket will be needed for the day/night. Dont wear skirts and then complain your cold in Venice when your on an Island. Its October and the north is a little chilly. - There are cold water bottles on the bus that cost 1 Euro each. We would buy a 12 pack of small water bottles from the supermarket and bring with us. Cost is 2 Euros which makes more sense. - Have plenty of small Euros/change on hand. Some places may charge for using the bathroom. - Optional extra excursions will be offered on the bus for Venice. Venice by Night Tour and Gondola Ride. This costs anywhere from 23-45 Euros extra and no credit cards can be used to pay for the optional excursions. - Venice by Night is worth the tour because its less crowded and you will be more familiar with the area for the next day when you get to venture off after your local tour guide finishes the tour. - To enter the many churches/cathedrals there is a church code policy meaning that shoulders and knees must be covered. Ensure you dress appropriately. - Our bus did not have phone charging outlets, so bring extra power charging sources to allow your phone to keep charged all day. The bus does offer free WiFi. - Meals provided are all buffet but they will happily accommodate any special diet needs. In Maestre if not staying in Venice hotel, the hotel food is horrible. Dont waste your time with the buffet. Also, the internet is really bad even if you pay the extra Euros. If you are on the first floor, then there are no issues. - Dinners are late, not until typically 7pm-8pm.